We understand the excitement of seeing a multi-million dollar car in traffic and wanting to catch it on video – we would definitely try get some footage if we ran across such a beast on the street. What we would try REALLY hard not to do is plough into the rear of it. 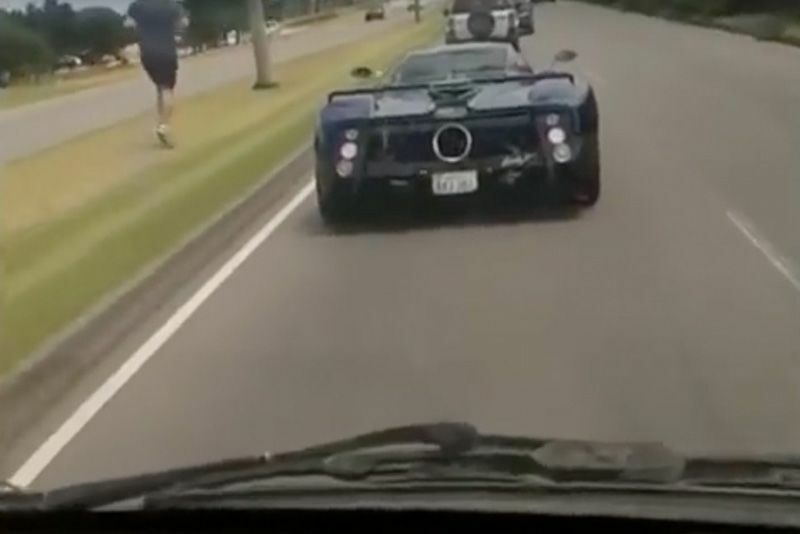 But, sometimes things just happen unexpectedly, such as the Pagani Zonda F hypercar stopping short and your driver not being able to stop in time. Suddenly, your Pagani In The Wild! video becomes evidence for the police writing up the incident report after the driver you’re riding with proves just how crappy his brakes are compared to the carbon-laden Zonda F.
That sickening thud tells the tale, since the sudden deceleration caused the camera to lose sight of the car just as the impact occurs, and we can only imagine what unfolded in the moments following this incident, as the driver of the camera car realises he’s on the hook to repair a car that costs more than most all of us have invested in our homes. At a price tag of just over $1.4 Million, you can expect that a rear-end slam will cost way more than you can slam out your rear end. Personally, I hope for the owner's sake that both parties had some decent insurance, even though the footage that was captured clearly shows that the "filmer" was in the wrong, going against road safety regulations and motoring law. Guys, just invest in a dash cam and film as much as you want... plus, it'll probably even be better quality video! 104-year-old Camera Was Used To Shoot The Formula 1!